Video production and website development examples. We created the storyboard, then collaborated with a videographer in Dallas, who shot all the interviews and drone footage. We wrote the copy, contracted voice talent to record the voice-over narration, and created all graphics and the finished video. 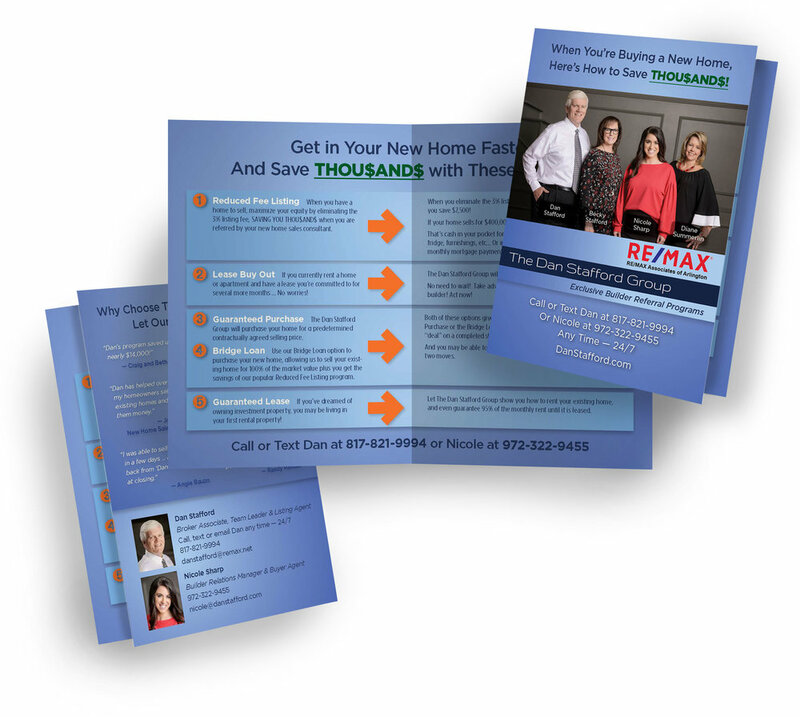 A 5x7” brochure, as part of a packet that included business cards, benefits list, and packet liner card. We created the wireframe website map, graphics, copy, and final design. We tied the contact form in to notify the client via email.